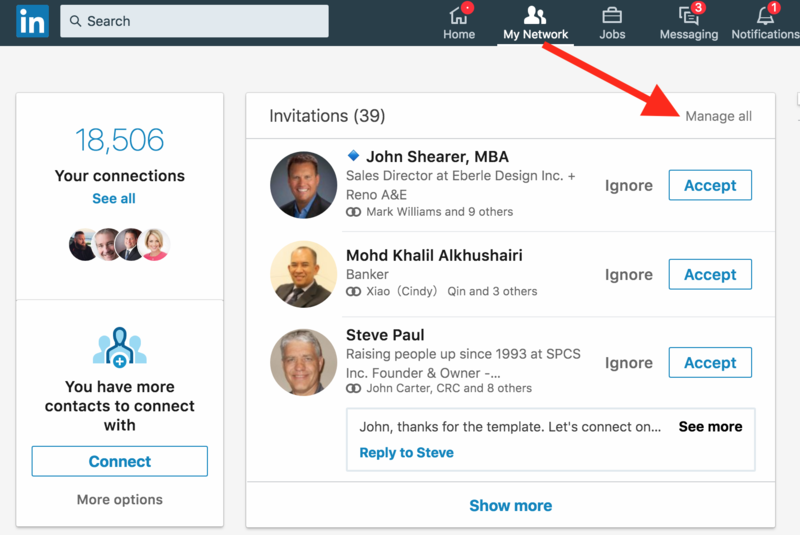 You need to find ways to engage your ideal clients and prospects in 1-on-1, personalized conversations using LinkedIn invites and messages. John calls it context for connection – a great way to starting these new relationships and discussions – find commonalities to spark discussions with new connections. Be sure to build your LinkedIn profile in a way that helps your ideal clients and customers understand who you are and how you can help them, and if you’ve included the right keywords inside your profile, you’re going to see a steady stream of inbound invites from people wanting to connect to you on the network. To enable you to get a steady stream of “inbound invites” you need to create a “client facing” profile. It’s akin to a WARM REFERRAL! (Not on mobile) First, click on “My Network” at the top of the page. That will pull up all your inbound or “Received” invitations from people who want to connect with you. Imagine seeing someone who went to the same school: business/university / festival as you has just sent an invite to connect. you have a commonality that you can connect with! why not join me as my guest for breakfast at our next breakfast forum… and start connecting and collaborating with people that I know like and trust. Join me as my guest at (your bbg breakfast forum link) I look forward to putting a face to a name. 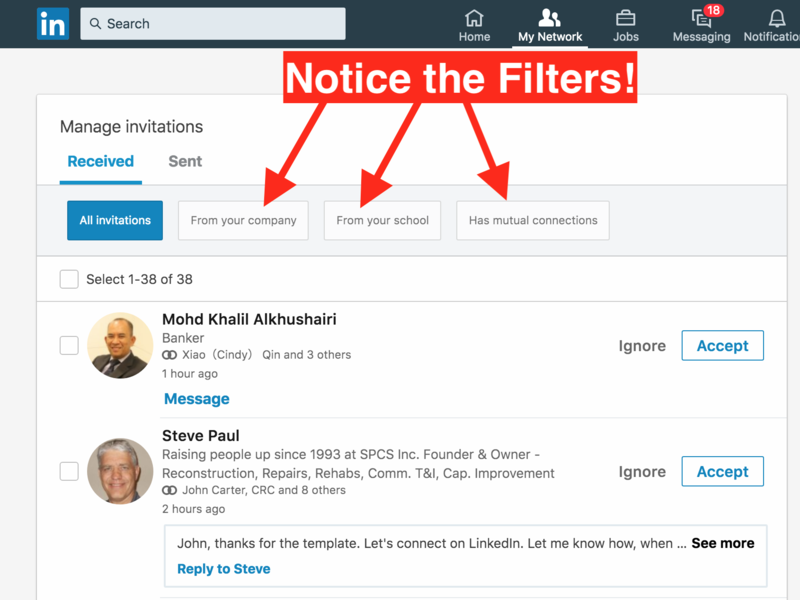 Find the icebreaker – based on a few different filters, and that context for a conversation is where the magic begins to happen on LinkedIn. Make sure you spend time formulating a series of great intros and conversation starters – having an inbound request for a connection is like a warm lead! Be sure you have a system to spark new conversations when others are inviting you to connect!